About three years ago, I finished my first novel Larkin’s Letters. I had no idea where to go from there. Research after research sent me down the agent querying trek. Self-publish? Every where I read said that was a huge no-no. So, I sent a few dozen query letters to literary agents trying to secure representation for a potential publishing contract. And that led me nowhere. I also submitted my manuscript to a small-press publisher who “specialized in new authors.” Hmm, I thought. Let’s give it a shot. Homerun! The publisher liked my work and wanted to work with me. I just had to pay a retainer fee for a publicist and marketer and they would take care of the rest. I have to admit, I was happy with them and what they offered. They gave me everything they promised and now I was a published author! 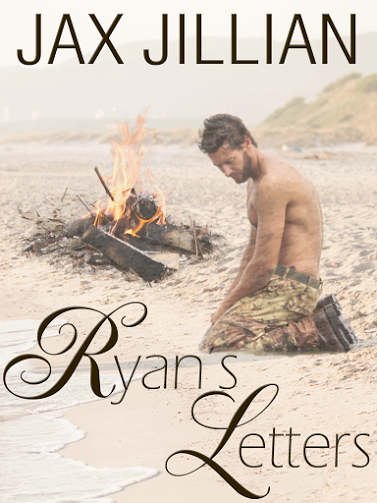 I went on to publish Ryan’s Letters, the sequel, with the same publisher. This time around, there were some mishaps with the release date and other small things that I won’t get into. During my first release, I met a book blog tour promoter who took a liking to my work. She reached out to me about self-publishing. I have to admit, my first reaction was, no way. All of the research said not to go that route. Man, if I only knew then what I know now. Now the research is saying self-publishing is no longer frowned upon. Many traditionally published authors are leaving their publishing houses to self-publish now, and self-publishing has opened the door to many talented authors who are now getting noticed by agents and also landing on Best Seller lists. More importantly, self-publishing allows the author full control of their work. And that is the most important thing to me. I feel that my published novels are at a stand still with my publisher and therefore it is not benefiting me to stay with them. I feel that I am at a point in my career that I need to explore other avenues that will give my novels the best chance at reaching a wider audience. I feel the only way I can do that is republish them through self-publishing, and now I have full control of what happens to them. So, I have decided to leave my publisher and begin the journey of self-publishing. With A LOT of help and guidance from the aforementioned book blog tour promoter (who are we kidding? she did everything! ), I am excited to announce that Larkin’s Letters and Ryan’s Letters will be republished with an entirely different look on December 1! I want to thank all of the readers who have supported my books from day one, and if it weren’t for all of you who wrote such amazing reviews, I wouldn’t even be considering this. You have given me the confidence I need to venture out and maximize any success these novels can have. There will be another blog tour surrounding the relaunch and I will be launching a brand new website as well. I am very excited for this new journey and I hope that it can help me to reach an even wider audience. I have attached the new covers for the books below! I hope you love them as much as I do! 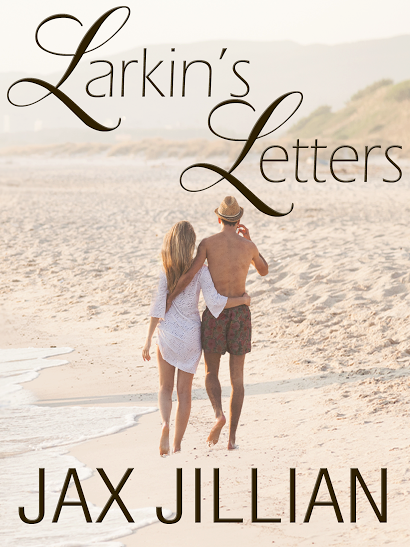 Previous RYAN’S LETTERS TO LARKIN THIS IS A MUST READ BY JAX JILLIAN!!!! HEART WRENCHING & ROMANTIC ! So happy for you! Let me know if there is any way I can help!